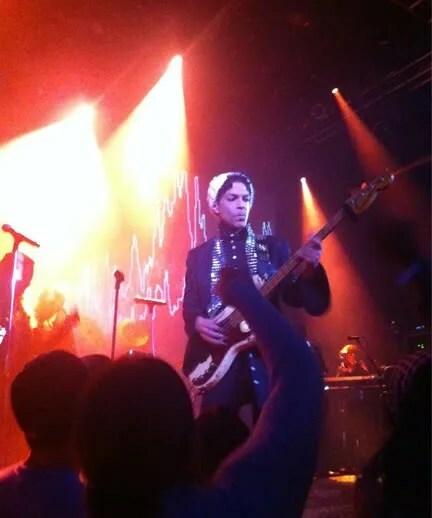 The Prince and Michael Experience returned to Portland on 5/27/11. Thank you to everyone that came out to the Someday Lounge. To view photos from the event click here. Thank you Seattle! Click here to see photos from the 5/13 event. The Prince and Michael Experience will return to Seattle on August 12th, see you then. 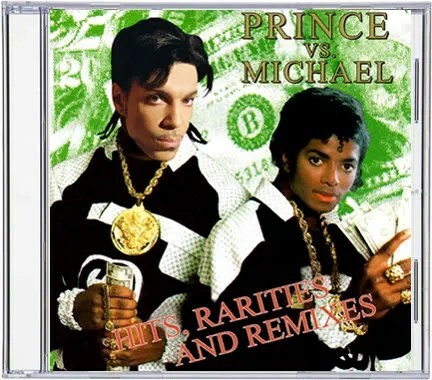 Be sure to pick up one of our Prince + Michael cd’s at one of our events. Features cool tracks including a lot of vinyl only mixes. Only $5 each. Just come up to the dj and ask for it. Spread the music and spread the L.O.V.E. 06. – Cream – Prince and the N.P.G. 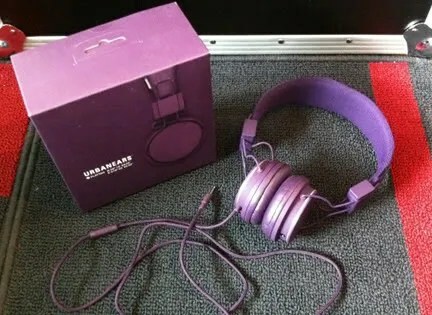 – Prince and The Revolution with Sheila E.
by Dave Paul – I picked up a pair of these headphone, they came in purple, how could I not? They come in hella colors, check them out here. by Dave Paul – Just got in my shipment of repressed Prince vinyl – Dirty Mind, Controversy and 1999. Mastered from the original tapes, lacquers cut by Bernie Grundman at Bernie Grundman Mastering and pressed at RTI on 180gram vinyl. Don’t sleep, make sure you get your copies too. 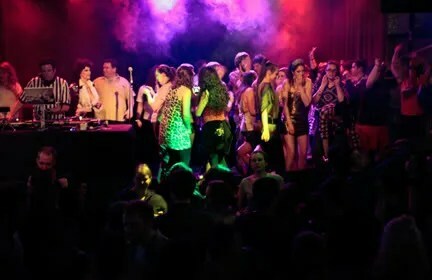 Click here to view photos from the 5/7/11 edition of The Prince and Michael Experience at Madrone Art Bar in San Francisco. The Ultimate Scratch CD is for use in Home CD Players, Professional CD Turntables and digital dj platforms (Serato, Traktor, Ableton etc.). Contains 99 tracks for a total of 60 minutes of stabs, hits, drums, tones, vocal bits and sound effects. A must have for Digital Scratch DJ’s, Sample Fiendz, Producers, Hip-Hop Junkies and fans of Cut-n-Paste. Digital technology has finally caught up with hip-hop’s techniques. Electronic companies have introduced professional CD Players that allow DJ’s to manipulate CD’s with nearly the same precision as with vinyl. Music fans and DJ’s are finding that these digital turntables also allow new creative freedoms and musical opportunities. These new CD players imitate many of the tactile qualities of a turntable, including the ability to “scratch” with a compact disc (digital scratching) and manually speed up or slow down a song for mixing purposes. Recently some of hip-hop’s most celebrated D.J.’s have made the leap from analog to digital. From Jurassic 5’s Cut Chemist & Nu Mark to DJ Shadow, Pone, DJ Design, Kutmasta Kurt, DJ Swamp and Apollo. With the professionally arranged, DJ friendy scratch sentences on The Ultimate Scratch CD you can create the same scratches that you can with vinyl turntables – Babys, Drags, Tears, Scribbles, Transforming, Chirps, Echoes, Drumming, Lazers, Rubs, Flares, Orbits, Crabs, 2 Click Orbits, Chirp Flares, Upfader 2 Click Orbits and Hydroplanes. For those hip-hop fans with ADS or lovers of cut-n-paste and quick edits this CD is for your listening pleasure. Contains thousands of bits of music and sounds ranging from classic hip-hop songs to television programs (South Park, Scooby Doo, Star Trek) to comedians (Richard Pryor, Chris Tucker) to video game sound effects and so much more. Digitally Mastered – Limited Edition. Released in 2003 this was the first scratch tool for digital dj’s.